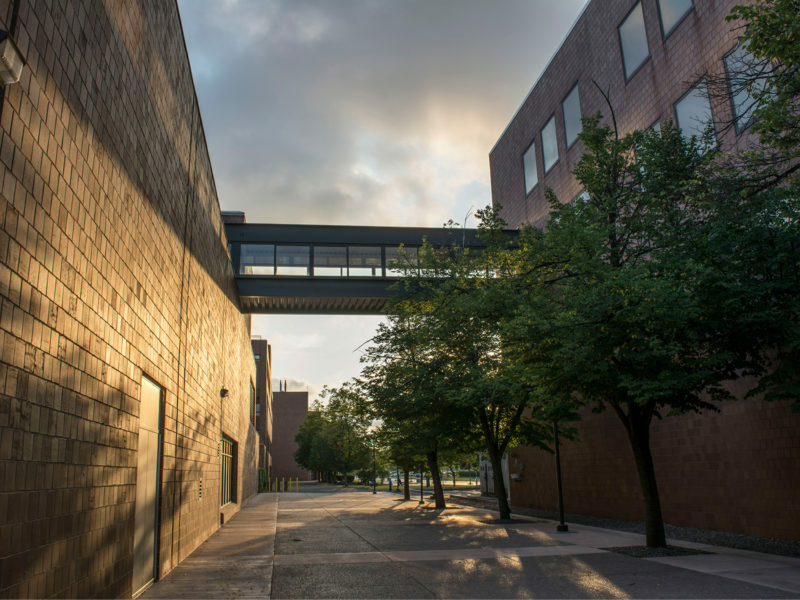 University at Buffalo engaged HHL Architects to restore the exterior of Wende Hall, which houses the School of Nursing. Wende Hall is a landmark structure, listed on the National Register for Historic Places. In 1955, an addition to the east side of the building was constructed, including a connector link. The addition’s exterior north and..
HHL Architects designed this 63,000 square foot four-story building to be used for television and radio production, broadcasting, and graphic film and motion picture production. The building was also designed to house the campus media library as well as audio, television and film projection equipment for use throughout the Amherst and Buffalo campuses. HHL Architects designed classroom renovations at both Upton Hall and the Science Building. At Upton Hall, we designed a new graphics arts studio in a former industrial arts space. Half of the room is arranged for computer graphics, while the other is for manual paste-up work. New lighting is both direct and indirect, with track..
Oracle Charter School is housed in a National Register listed building known as the Goodyear Mansion. HHL Architects was engaged to do some restoration work on the building, including a roof and flashings replacement, restoration of the original wood casement and double hung windows, and restoration of the original cast iron main entry doors. 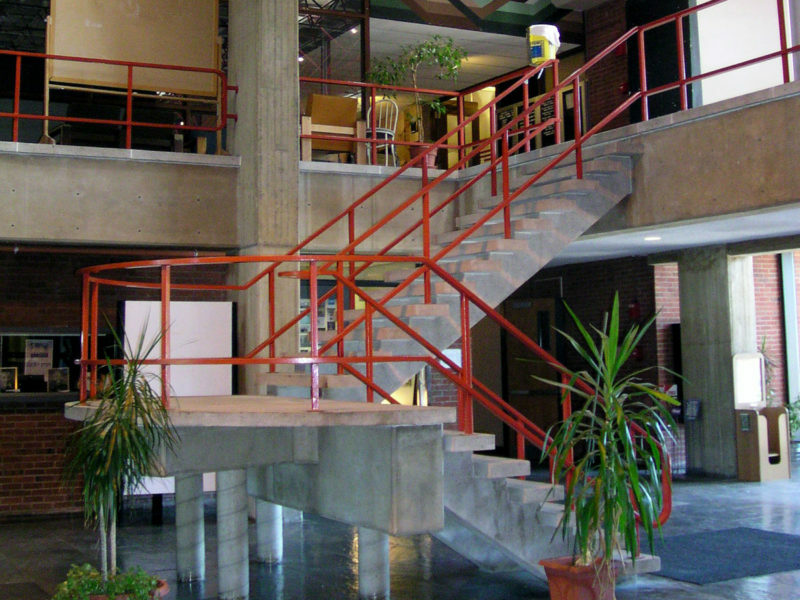 HHL Architects has worked on many projects at SUNY College at Buffalo, including two term contracts in 2002 and 2004. The projects completed were small to mid-sized projects with HHL providing architectural design services from schematic design through construction administration. The term contracts included the following projects; Butler Library Study Quad Renovation, Upton Hall &..
HHL Architects was awarded a three year term contract to provide campus planning services for the State University Construction Fund. Three planning projects were completed; Buffalo Educational Opportunity Center Space Plan (University at Buffalo), Rochester Educational Opportunity Center Space Plan (SUNY Brockport), and SUNY Brockport: Tower Fine Arts, Smith, & Edwards Halls Phasing Study. Both.. In 2014, HHL Architects was awarded a three-year Architectural/Engineering Professional Services Term Contract to provide a variety of architectural and engineering services to NYS Office of Parks, Recreation and Historic Preservation-owned or operated facilities across Western New York. Assignments included the design of a new golf pro shop at Beaver Island State Park, a new..
HHL Architects has provided planning, design and construction administration services for DASNY for several projects including, including the Erie Community College Burt P. Flickinger Athletic Center, Madonna House, SUNY University at Buffalo: Student Housing, and the Tuscarora Indian School. HHL Architects worked with the Gow School to develop the school’s 95-acre campus. A master plan was created to satisfy the present and to anticipate the future needs of the school. From the master plan, HHL designed three buildings on the campus. In 1984, a 20,000 square foot dormitory was built to house seventy-two boys,..